They're just as susceptible to sun damage! Beauty Q&A: Is the SPF in My Makeup Enough To Protect My Skin? Should you ditch your sunscreen with makeup that already has SPF? 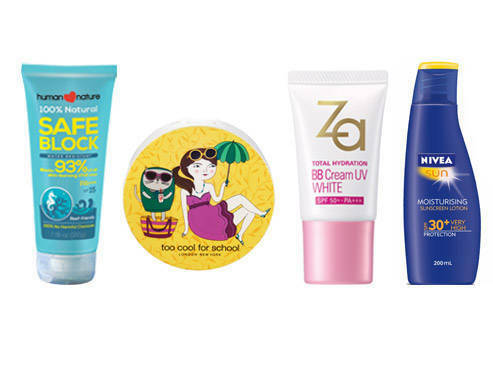 Beauty Q & A: What Products Should I Use To Keep My Skin Protected This Summer? Find out what products you'll need to keep your skin radiant and healthy all summer! The iCarly star talks about the importance of sunscreen, her current beauty must-have and many more!